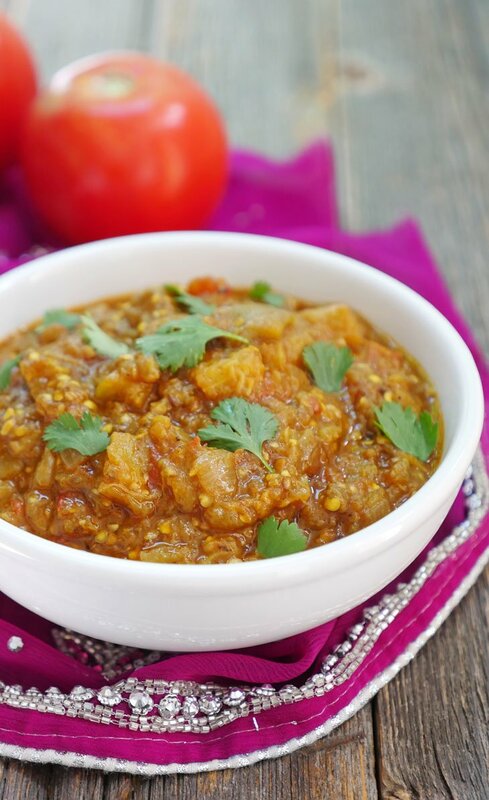 Baingan bharta is a flavorful vegetarian eggplant dish full of flavor. 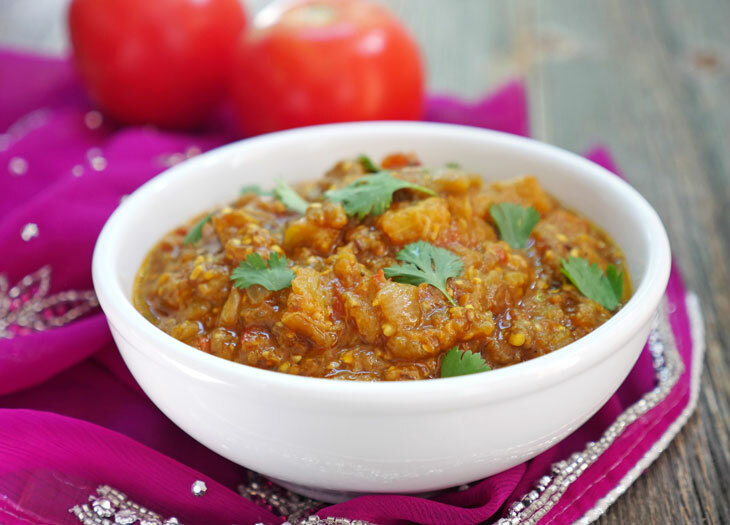 You don’t need to go to an Indian restaurant to enjoy this classic Indian dish because it’s so easy to make at home, especially in an instant pot! 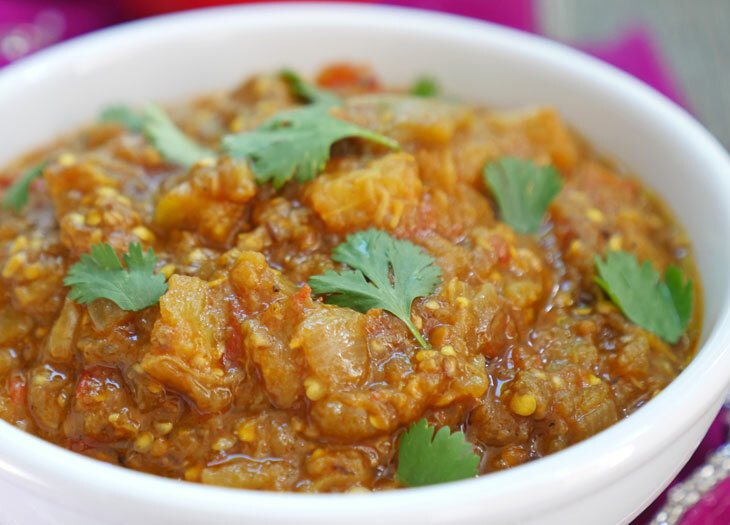 Baingan bharta is typically made by first cooking eggplants on a stove directly over a flame or on a grill to give it a smoky flavor, but I’ve simplified the recipe to make it all in one pot and I find that it tastes about the same. And truthfully, the ease of making this dish means that I make and enjoy it a lot more often. I hope you love this delicious mashed spiced eggplant recipe. Serve it with naan or basmati rice and maybe a couple other dishes like my butter chickpeas or aloo methi or veggie biryani.